Microsoft makes an end run around in-dash entertainment systems, working on in-dash productivity instead. 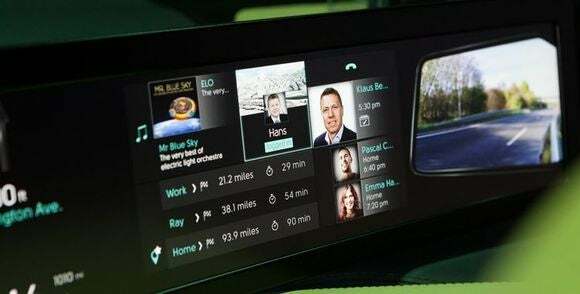 While its competitors worry about who will power in-car entertainment solutions, Microsoft appears to be making a play to put the office in your dashboard. Microsoft announced partnerships with Volvo, Nissan, IAV, and Harman at CES on Tuesday, tying each to its various apps or services. Though perhaps slightly less well known, the partnerships Microsoft struck with IAV and Harman were the most significant. In the case of IAV, for example, the component maker said it would actually work with Microsoft to stream Windows 10 to the car using the recent Continuum feature. At one point, Microsoft’s solution for the car platform was Sync, an in-dash system that appeared in some cars. But Microsoft lost a deal to develop a next-generation system, a partnership that eventually went to QNX and BlackBerry. Now, Microsoft appears to be at least making strides to catch up with other automakers. The IAV partnership will eventually integrate data and services into the vehicle through devices the driver already uses on his notebook, tablet PC or smartphone, with apps like Skype for Business, Calendar and Groove Music, IAD said. 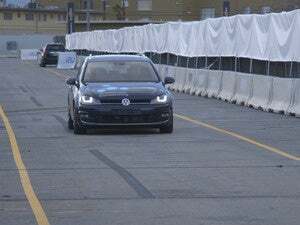 The companies will show off this technology at CES. Harman said it that it would work with Microsoft to push Office 365 connectivity to the dashboard. Drivers would be able to schedule meetings, respond to emails, and even join conference calls—without the need to type in the passcode—via Skype. Harman promised to push updates to the car via its over-the-air service. Unfortunately, the companies didn’t provide details on when this would happen, or in what Harman products the Office 365 connectivity would be built in. A partnership between Volvo and Microsoft will add a Volvo universal app: Volvo On Call, which will allow Band 2 users to remotely start their vehicle from their wrist. Nissan said that in Europe, all Nissan LEAF as well as European Infiniti models’ Connect Telematics system will be powered by the Microsoft Azure cloud.